Pastry chef Tess Crawford thought moving from Chicago to quiet Silver Springs, Arizona would simplify her life. That was before she found the body of a woman with whom she had traded heated words the previous night, left her fingerprints on the murder weapon, and came under attack for trying to clear her name. Looking for a good clean murder mystery? Meet Rachel Prince, a newly qualified police constable trying to hold it together after being ditched by her fiancé. Rachel's best friend, Sarah, suggests that she needs a break and what better way to relax than a Mediterranean cruise? Sarah works as a nurse on the cruise ship and they plan to enjoy all the luxuries of cruising. At least they would do if Sarah ever got any time away from the medical centre. 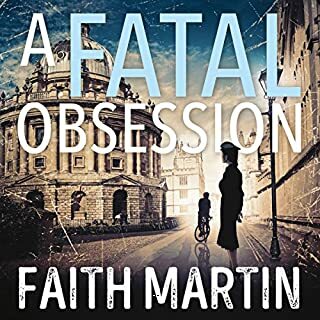 Rachel makes friends with a bereaved, elderly woman and an attractive Italian but it's not long before she is convinced that something sinister is going on. There is mystery and threat surrounding Lady Marjorie Snellthorpe. Who is the secretive Carlos and what is he up to? Rachel finds herself in the centre of a mystery that could cost her her life, or worse still, her heart. Has her broken engagement clouded her judgement? Events unfold that cause her to question her sanity and when one of the passengers meets with a tragic accident, the tension grows. Rachel tries her best to relax and enjoy her holiday with her friend, but there seems to be danger around every corner. Is Marjorie in danger? Can Rachel solve the mystery even when she is in danger herself? Loved it!A new twist on the cozy mystery.Why not one on the go?Looking forward to more of Rachels adventures. Alex Lee was a great narrator! Most accents were very good.I was given this book by the narrator,author or publisher free for an honest review. After just coming back from my first Southern Caribbean cruise I was intrigued by the title. The book follows a newly single constable cruising on a ship that her friend works on. There is murder and romance and interesting accounts of what it is like on a cruise ship. Overall a good listen and I was pleased with the narration. The author did a really good job developing the characters and keeping you on your toes throughout the story. It is nice that we were introduced to the characters in such a way that makes them seem real and relatable. The circumstances that brings all the characters together was realistic and the author does a great job with descriptions. It wasn't super fast paced, but I never felt like it was slow at any point. 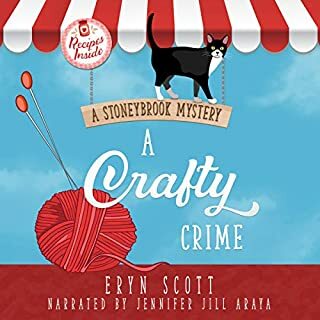 A cozy mystery that is a quick evening listen. I really enjoyed it. The narrator does a good job of staying consistent and differentiating between characters so that you know which 'voice' belongs to which character. Rachel Prince is devastated after her fiance leaves her for another woman. This young police woman needs some time to put the pieces of her heart back together, and what better way than to take a 2 week cruise on the Mediterranean? Rachel's best friend, Sarah, is a nurse on a cruise ship and encourages her friend to take the time to relax. Rachel befriends an elderly widow, who is taking her first cruise without her dearly departed husband, and enjoys her time with the dame. When it appears that attempts have been made on the widow's life, Rachel begins to investigate. Can it be the handsome man that shares her table and has been coming on to her? 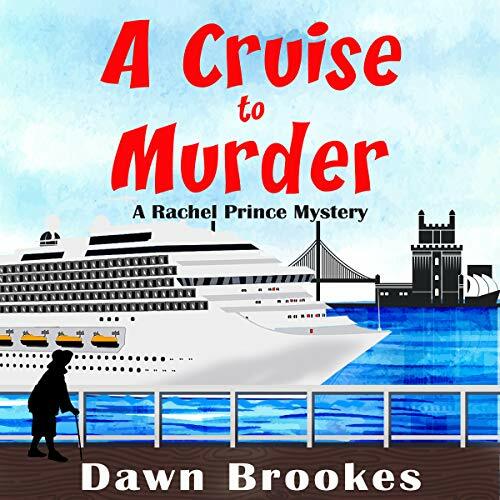 When someone on the cruise is murdered and it appears to be mistaken identity...the victim had been wearing the coat of Rachel's elderly friend...Rachel and the ship's security join forces to catch a killer. Great story that keeps you guessing...you'd never guess who was behind the attempted murder! I was provided this audio book at no charge by the narrator in exchange for an unbiased review. I really enjoyed this book and found myself pulled in from the very beginning. I loved being wrong about who the killer was too! Typically I do not peg the wrong killer, so when I do, I must congratulate the author for that awesome twist. Without giving away spoilers, I thought Dawn Brookes wrote a great book. 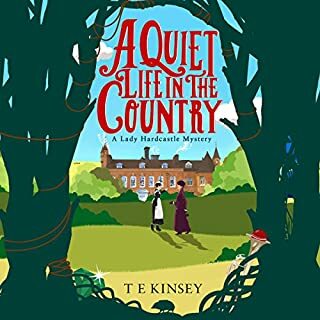 Alex Lee was the perfect narrator for this British story and had impeccable accents. I love it when I can hear exactly whom is speaking. I will definitely listen to more books by this author and narrator in the future. This is a standalone listen and the start of a series. A cozy mystery on a cruise ship! Each of the main characters was introduced and their backstory was shared prior to arriving for the cruise. I loved how everything came together! There were just enough twists and turns to keep me guessing. A great story and great narration. it's a good read. I enjoyed to twist and turns in the book. the ending a little abrupt. It was a little slow at the beginning but once it got started It was good. Kept me guessing who wanted to kill one of the passenger and who sent the hit man. I look forward to reading more in this series. I was gifted this book in exchange for an honest review. This is the 1st book I've read by this author and I loved it! Very enjoyable! The narrator does a great job with the different characters and accents. Her voice is both soft and inviting. Perfect for a cozy mystery. This story was so much fun! The more I listened the more I needed to finish. At first I was a bit confused getting to know the characters, but it gets sorted out quickly and is defiantly worth keeping going. And unless I mixed up my characters you will be guessing the wrong person through most of the story. Having never been on a cruise the descriptions were great giving me a clear picture. I loved the characters, Marjorie was defiantly a favorite! Loved the narration by Alex Lee, she does a fantastic job bringing this story to life. I read this on audible whilst walking the dog! It was easy to listen to and was ok for dibbing in and out of over a couple of days. 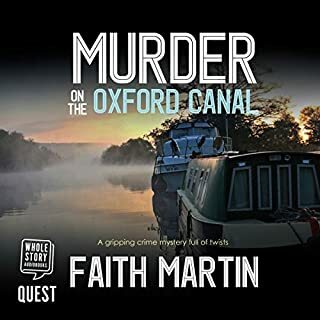 The story line was easy to follow and in the easy listening British crime that reminded me a little of a bygone time rather Agatha Christie like. I would recommend to others who like a non violent mystery with a couple of red herrings along the way! Fabulous book. Good narrator, accents done well. A thoroughly enjoyable read. Story line riveting making me want to read more from this author. Would definitely like to hear this narrator again. What a great start to the series. Rachel is a lovely, kind character who also happens to be a police officer with a keen sixth sense for trouble. I loved the old lady, Marjorie, and I was hoping that everything would turn out OK for her. I'd love to see her help Rachel solve a crime in a future book. The mystery was very good. There were a couple of red herrings and it really kept me guessing to the end. I can't wait to read more of this series. I voluntarily reviewed an advance reading audio copy. Light hearted, easy listening, good story but found the narrator overall a little bit annoying. A cosy murder mystery set on a cruise. I especially enjoyed it as I was listening to it whilst I was on a cruise myself. I didn’t particularly like the narration bit the story was entertaining. 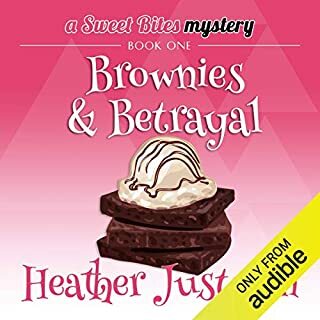 Easy listen, enjoyable murder mystery. I thoroughly enjoyed the characters, plots and humor. Rachel’s story contains heartbreak, mystery, murder, intrigue and a hint of romance. Giving the listener a wonderful listening experience. Look forward to the next one. There are lots of twists and turns, as well as suspects in this entertaining murder mystery. The plot goes along at a good pace and most of the characters are likeable. There is a romance element thrown in for good measure. The author did well at keeping up the mystery element in the story. I felt the narrator did well with the character voices and story and the production quality was good. I would read/listen to another book by this author and do recommend it to anyone who enjoys cosy mysteries. I listened to this speed of 2. The characters were likeable, the plot easy to follow and as expected but it was a really good listen and it has everything you would expect from this type of genre. Not taxing and easy to follow the plot and I would recommend this and look forward to the next in the series. I've never fancied cruising, until now! Dawn Brookes has done an excellent job of selling me on a cruise. I acquired dogs to walk because everyone knows that it's dog walkers who always find a dead body, but 10 years on and nothing! Now if I could meet the kind of people on this cruise, it would be worth it. I loved the fact that our heroine, Rachel, had parents and friends. So many of our fictional police officers are unloved and broken, it was a pleasure the meet one who had a life outside "the job". Rachel and Sarah's friendship was believable and lovely. 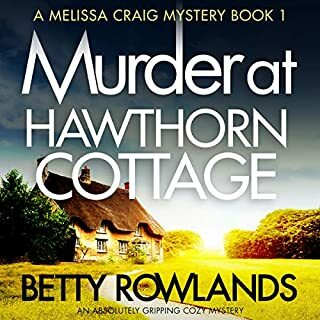 This is a genuine cosy mystery, because despite the murder and the intrigue, there was a wonderful sense of warmth, friendship, mutual respect and care through this entire story. It lifted my heart and I absolutely loved that element. I'm not usually a cosy mystery type of person, but Dawn Brookes has enticed me with her superb writing and clever story telling. Excellent narration by Alex Lee added another layer of enjoyment to this eloquent and articulate tale. Highly recommended.